Stephen Colbert snuck on stage at Monday night's Republican National Convention and mocked presidential candidate Donald Trump with a spoof on "The Hunger Games." Wearing a costume to represent "'The Hunger Games' Caesar Flickerman, complete with a blue wig and black bowtie, Colbert wasn't on stage long before security came to retrieve him," the Verge reported. "Donald Trump has formed an alliance with Indiana Governor Mike Pence," Colbert announced, standing at the podium. "It is my honor to hereby launch and begin the 2016 Republican Hungry for Power Games," he said, banging a fake, oversized gavel before security came on stage. "Look, I know I'm not supposed to be up here," Colbert tells the security guy. "But let's be honest, neither is Donald Trump." Colbert is filming in Cleveland this week during the RNC. A video of Colbert's ad lib performance was taken from the convention floor. "The Late Show" will broadcast live during both the RNC and the Democratic National Convention which takes place next week, the New York Times reported. 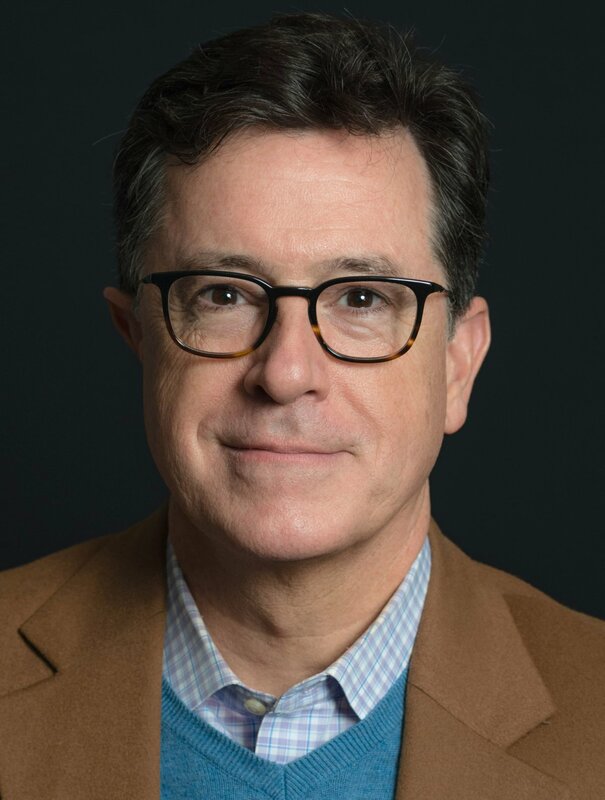 Monday night's CBS installment of "The Late Show" featured Colbert performing a pre-taped musical number that included the lyrics "This week, you and me, we will witness history/As the RNC crowns their orange manatee." He later did a skit, walking to a cabin in the woods where he was greeted at the door by a bearded Jon Stewart, Colbert's former boss on "The Daily Show," telling Stewart it was again time for the RNC. "You will not believe who the candidate is," he quipped.